Updated interface and help documentation: Improved user interface speed and navigability, improved event searching, newly updated help documentation. Comment: Bravo! 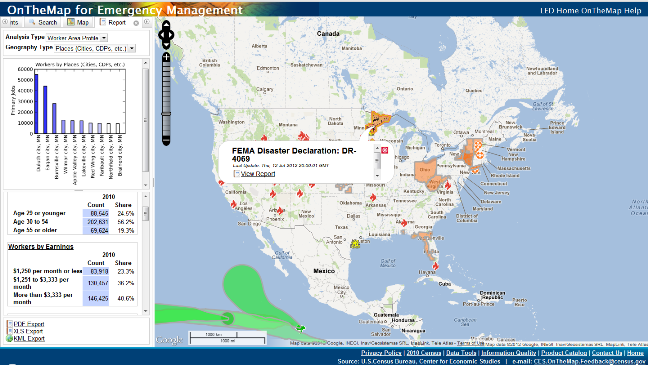 This is a huge step in the right direction for the U.S. Census Bureau when it comes to Emergency Management. Although some of their past efforts like TIGER were in many ways ground breaking, that level of innovation never really seemed to make the leap to Emergency Management. This product goes a long way toward fixing that problem. Keep up the good work!